– Wed 9 Sep at 8.00 pm € 100 No Limit Hold’em Satellite 1 Re-Buy. 10,000 Starting Stacks. 20 Minutes Levels. – Thu 10 – Sun 13 Sep at 12.00 pm € 550 No Limit Hold’em – Main Event Day 1A Re-Entry Allowed. 50,000 Starting Stack. 50 Minutes Levels. – Thu 10 Sep at 5.00 pm € 100 No Limit Hold’em Satellite 1 Re-Buy. 10,000 Starting Stacks. 20 Minutes Levels. – Thu 10 Sep at 8.00 pm € 120 No Limit Hold’em – DSO Cash Re-Entry Allowed. 10,000 Starting Stacks. 20 Minutes Levels. 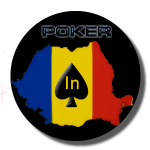 – Fri 11 Sep at 12.00 pm € 550 No Limit Hold’em – Main Event Day 1B Re-Entry Allowed. 50,000 Starting Stack. 50 Minutes Levels. – Fri 11 Sep at 9.00 pm € 550 No Limit Hold’em – Main Event Turbo Day 1C Re-Entry Allowed. 50,000 Starting Stack. 20 Minutes Levels. – Sat 12 – Sun 13 Sep at 8.00 pm € 200 No Limit Hold’em – DSO Classic Day 1 Re-Entry Allowed. 20,000 Starting Stack. 30 Minutes Levels. 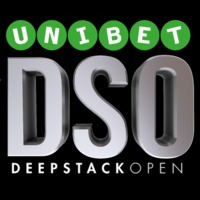 – Sun 13 Sep at 4.00 pm € 200 Pot Limit Omaha DSO Re-Entry Allowed. 30,000 Starting Stack. 20 Minutes Levels. – Sun 13 Sep at 6.00 pm € 150 No Limit Hold’em – DSO Basic Re-Entry Allowed. 10,000 Starting Stack. 20 Minutes Levels.